Search Oceanport Homes For Sale. Call 732-598-7700 to see the homes for sale. Looking for an Oceanport condo? Located close to the beach and the Shrewsbury River, Oceanport is close to shopping and dining. 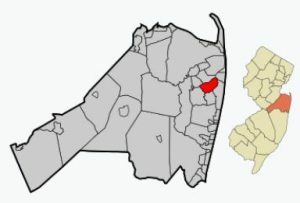 The 2010 Census states that 5,832 people lived in homes in Oceanport. There were 2390 Oceanport homes. The median household income was $89,208. There are less than four square miles in Oceanport, also, one border of Oceanport is the Shrewsbury River. Oceanport is home to Monmouth Park, where you can enjoy an afternoon watching the races at a thoroughbred horse racing track. FIshing and boating are nearby, in addition to the many public golf courses in Monmouth County. Limited train service is available at the Monmouth Park station in Oceanport, which is on the North Jersey Coast Line. This is a seasonal service which runs from May through October. Indeed, in the off months, the Long Branch station is the closest. Bus service is also nearby. And it’s a short ride to The Garden State Parkway and Route 35. School age children will attend the Oceanport School District. In addition, students from Sea Bright also attend these schools. Students in grades K-4 will attend Wolf Hill Elementary School while Middle school students grades 5-8 will attend Maple Place Middle School. When students enter high school, those students will attend Shore Regional High School. There are private schools in the area. Students from Oceanport homes may also attend The Monmouth County Vocational School District. Specialized courses are available in fields such as computer science, and biotechnology. Also courses in the medical and science fields are available, among others. Call 732-598-7700 today to see Oceanport homes for sale.